Let’s dream for a while, are you with me? Let’s imagine that is summer… daylight is a bit longer and lingers upon golden wheat fields, spreading a soft glow on the horizon line. The shadows are cool, fragrant with linden and jasmine. The cicadas sing tireless, enjoying every precious moment of this so magical summer. It is the moment to sit in the garden and see the night that slowly takes over the day, the moment to look back at the day that has just passed and make plans and for tomorrow nad build castles in Spain. Summer evenings make me want to dine out, not to leave anything behind, to behave as cicadas, enjoying to the full daylight and summer. Dining out creates many beautiful memories, a collage of flavors and fragrances, often illuminated by candlelight or by the silver moon, a combination of senses to bring with you throughout the winter, to live again a summer glow even in the coolest evening. 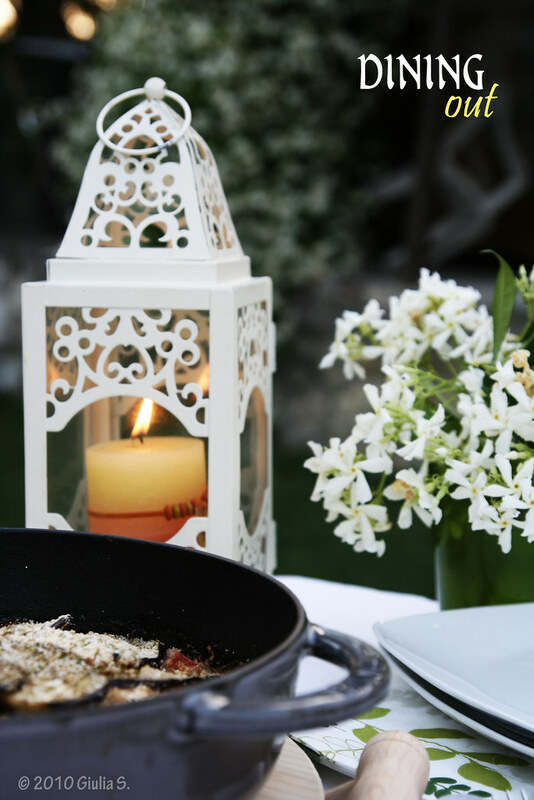 Dining out means arranging a few ingredients in a recipe that takes care of itself, while we set the table, go searching for a few candles, pick up aromatic herbs to enrich the dishes and water the flowers at dusk, so that they can return to life after the heat of the day . 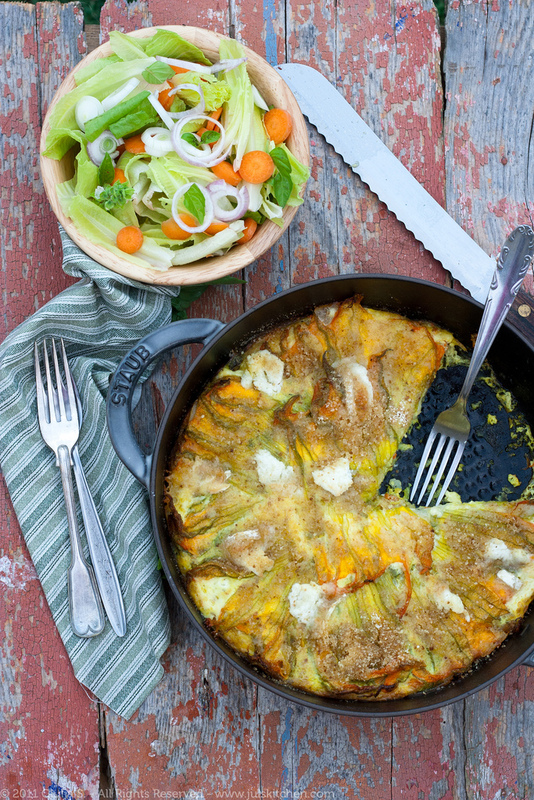 What I have prepared a few nights ago – when summer was still alive and not yet a faded and cold memory – is a vegetarian dish, which requires about 1 hour of baking and a 5 minute preparation. 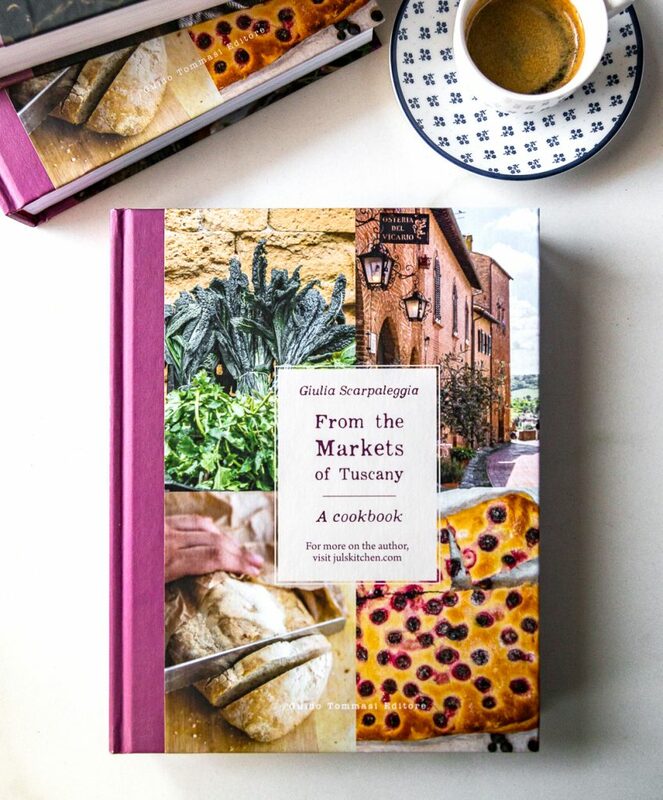 While the vegetables cook in the oven, spend this precious reconquered time for yourself, to rediscover the beauty of everyday life, then, when the dish is ready, go outside and enjoy your dinner! A note on ingredients. The tomatoes I used are the ox heart tomatoes, my favorite ones: they have firm flesh, few seeds and are very tasty. About the cheese: I found a Greek PDO Feta. It was milder, less salty and more friable than the usual Feta I buy already packed, it was the best ever tasted so far! Slice eggplants, potatoes and tomatoes very thinly. Choose a pan that can retain heat very well and is suitable for the oven: I chose a cast iron stewpan. Grease the bottom of the stewpan with extra virgin olive oil, line a layer of potatoes with their edges slightly overlapping. Season with salt, cover with a layer of tomatoes and drizzle with olive oil and plenty of oregano. I chose not to salt tomatoes because I covered them with feta, a cheese very salty in itself! Now crumble with your hands half the feta over the tomatoes and cover with a layer of eggplant, overlapping again edges. Season with olive oil and salt. Repeat layers and finish with the eggplant. 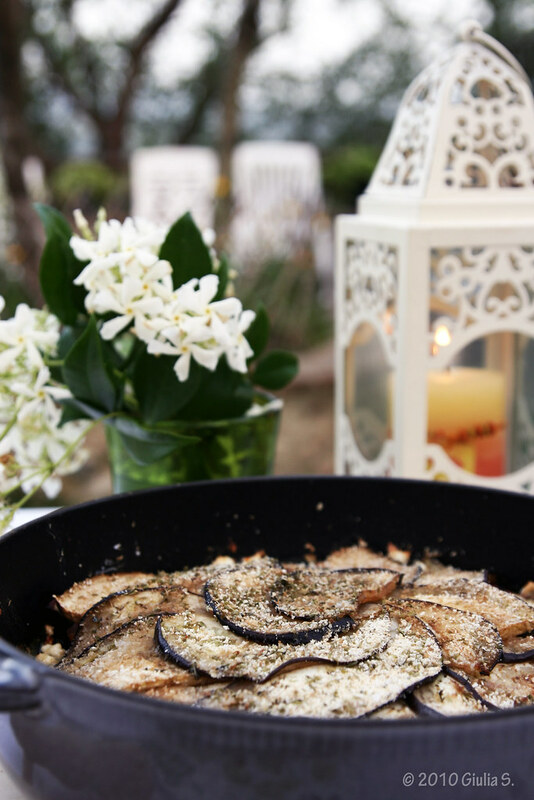 Sprinkle eggplant slices with bread crumbs and season with salt, oregano and a drizzle of olive oil. 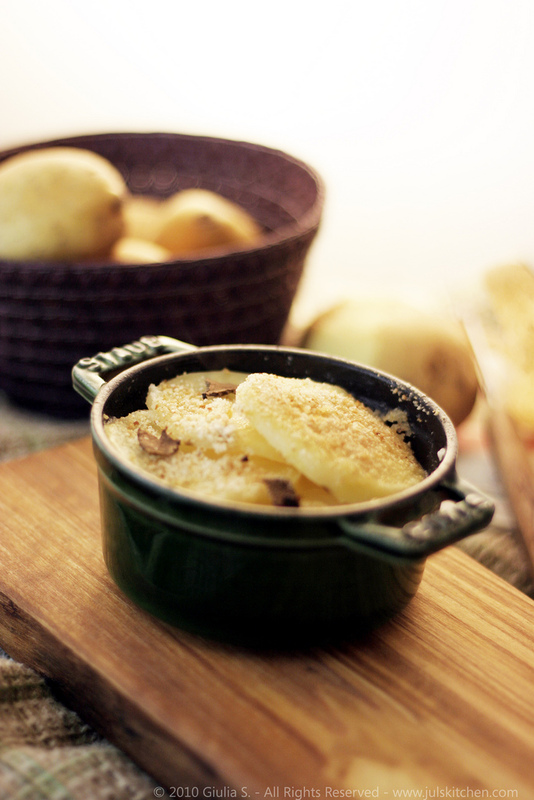 Cover with a lid and bake in preheated oven to 180° C for about 45 minutes. At this point, check the vegetables and finish cooking without the lid to let the eggplants get brown and crisp for the last 10 minutes. Serve hot or warm. Verdict: the first adjective that comes to mind is Mediterranean. 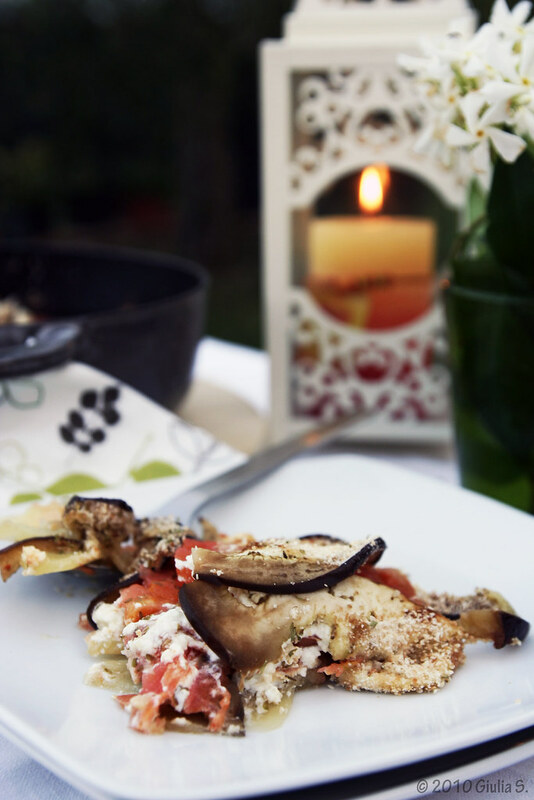 Feta and eggplant along with oregano immediately recall Greece. The flavors of the dish are enhanced by the cooking method, because all the vegetables are cooked by the water released from the tomatoes and the steam that is created in the stewpan. This method mixes strong and gentle accents to a final result which is balanced and appetizing. In these times of the year I can’t help but singing one of my favorite songs every time I see a wavy field, Sting’s Fields of Gold. I leave you today with this song… but my summer surprises are not finished yet. Soon the blog will be inspired by many different voices. But that’s another story, I’ll save it to another day! Summer fest: Quinoa tart with baby zucchini & sun dried tomatoes dressing Potatoes and mozzarella casserole Naked zucchini blossom and potato quiche* Marinated goat cheese and life alone! this too is my kind of idea of dining out! lovely recipe! Beautiful Juls! What an awesome night and the dish is magnificent. One of my favs! Great dish!! Looks so tasty! 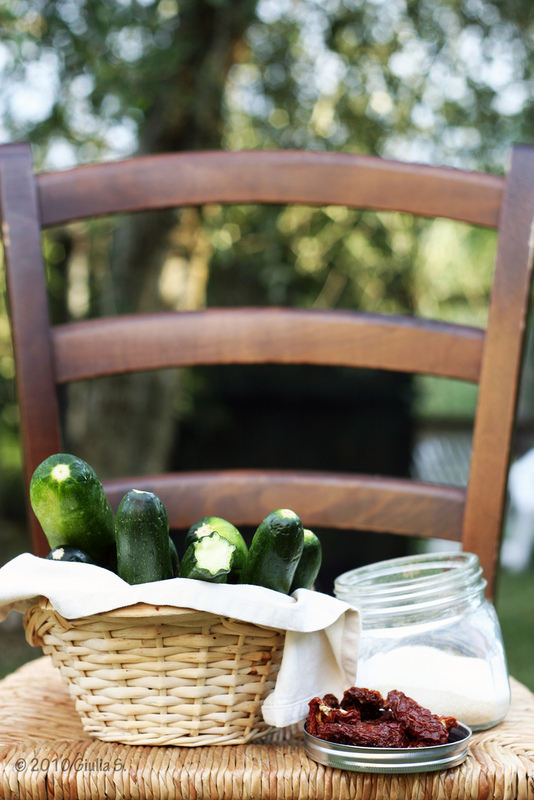 We all should take the time to enjoy some evenings dining outdoors. This is a lovely post and your dish looks delicious. Oh, just look ing at these pictures I can already feel as if I was at the table , sampling this lovely meal. 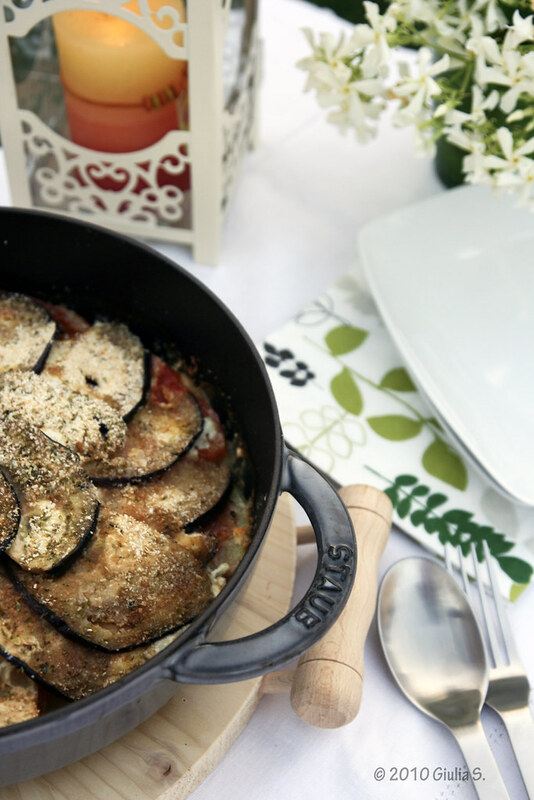 I love the vegetables you used here – aubergines are such a delicious vegetable. You understand the idea of fine dining. This is beautiful…the pictures, the post and the food…glorious!! !